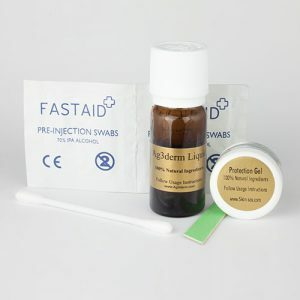 Inline with the saying, prevention is better than cure; the best remedy for liver spots is to ensure that the risks of acquiring them are minimized. This can simply be done by avoiding exposure to direct sunlight. Liver spots occur to persons of age fifty and above with few cases of people below the age of forty. This however does not mean that you can only get a liver spot if you are over fifty; there are exceptions to this phenomenon. That means even someone as young as in their twenties can have liver spots in a manifestation of the rare cases. The habit of basking in the sun is a lifestyle issue and an extremely relaxing experience at that. It would be difficult to get people to avoid sunbathing just because they fear being affected with liver spots later in their life. This is why people are advised to sunscreen whenever they plan on exposing their skin to direct sunlight. Since sunlight is the presumed primary cause for liver spots it would be better that one uses creams that prevent harmful rays of the sun from penetrating the skin. Other parts of the body like the thighs that have less or no exposure to the sun are less likely to have liver spots on them. Body parts like the back of the hand, face and chest especially for women are mostly prone to livers spots. Liver spots can best be treated naturally using items such as vinegar and honey. The use of these items is most common among the Chinese whose affinity to natural treatment methods is beyond question. In this treatment method, the honey, rice vinegar and water are mixed in the recommended proportions to make a solution which is then drunk by the patients. This liver treatment solution is made by mixing one tablespoon of vinegar, tablespoon of honey and one oz of water. The solution is taken twice a day. Another good treatment method for liver spots would be the use of Vitamin E. Vitamin E helps with equalizing skin pigmentation and gets rid of liver spots. Application or usage of creams and skin lotions fortified with vitamin E can eliminate liver spots, its advantage is that it is a painless process making it the one of the best treatments for liver spots. Applying aloe vera gel is also an effective method for treating liver spots. The gel is obtained from aloe vera plant which is then applied on the skin directly at least twice a day after showering.